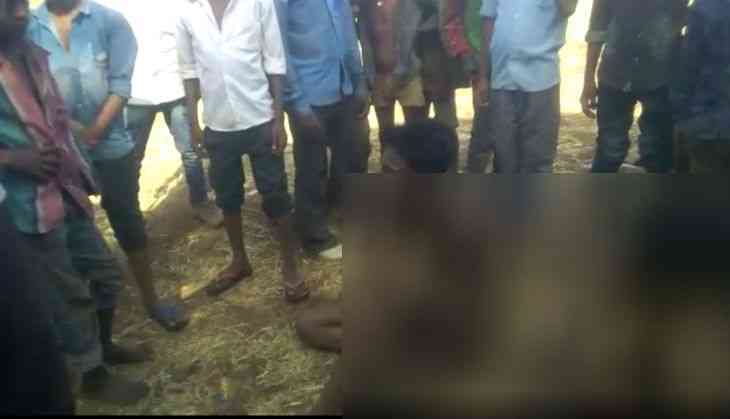 In a shameful incident, a couple was stripped naked, paraded and then beaten two days ago in Banswara district of Rajasthan. The girl's family was angry with the couple as they eloped earlier this month, reported the Patrika TV. They were found by the family who poured their anger by carrying such heinous act. The couple got caught on 16 April after which they were brought back to the village. They were brutally beaten after being paraded naked when the other villagers witnessed the incident with their mouth shut. The police began investigating the case on 18 April as the video of the incident went viral. When police arrived at the woman's house, they found that the family has fled along with the girl. The victim man admitted that he went through the ordeal in front of the police after denying it initially. According to police superintendent Anand Sharma, the man was sent to the hospital to go through a medical examination late Tuesday night.